A diagnosis of mesothelioma or other asbestos-related illness could entitle you to compensation for harms that you have suffered. Like other legal claims, potential plaintiffs must file their lawsuits within the time constraints provided under the law. If you fail to file your claim within the required time frame, you can lose your right to recover compensation for your injuries, pain and suffering, medical expenses, and lost wages. The deadlines for filing particular claims differ from state to state. In addition, separate causes of actions are available within each state depending on which party is bringing the claim. Understanding these rules and statutes is essential to avoiding procedural obstacles that could potentially defeat your claims for compensation. In the majority of personal injury lawsuits, the cause of action accrues (or is “triggered”) from the moment the injury occurred. If the statutes of limitations were to start from the time that the “exposure” to asbestos occurred, this would make it essentially impossible to file a timely claim. This is because the latency period for mesothelioma can be anywhere from 10 to more than 50 years after the plaintiff’s initial exposure to asbestos. Victims of asbestos exposure can go for decades without discovering that they have been injured. Additionally, mesothelioma can develop as a result of many years of contact with asbestos rather than a single incident. To give people diagnosed with “latent disease” injuries, such as mesothelioma, a fair opportunity to file their legal claims, all states now adhere to some form of the “discovery rule”. Under the “discovery rule”, the time to file the claim (i.e. the statute of limitations) starts to run from the date the person discovered, or reasonably should have discovered, the injury upon which the lawsuit is based. For mesothelioma cases, the statute of limitations, therefore, usually starts when a person is diagnosed with the disease by a doctor. The important point here is that the statute of limitations in asbestos related claims is usually triggered on the day of diagnosis rather than the date of first exposure to asbestos. This explains why people can bring mesothelioma lawsuits in courts today, even though they may have been exposed to asbestos decades ago. If you have received a diagnosis of mesothelioma, you can file a personal injury claim against the entity liable for asbestos exposure. In this type of claim, the person diagnosed with mesothelioma may seek compensation for: (i) pain and suffering related to the development of mesothelioma, (ii) medical and travel expenses incurred from diagnosis and treatment, and (iii) lost wages or income including future income. All claims that can be brought by the mesothelioma patient against the parties responsible for asbestos exposure must be included in the personal injury lawsuit. The statute of limitations begins at the moment of diagnosis. Each state has its own statute of limitations periods that can range from one year to six years. The second type of claim available in mesothelioma lawsuits is wrongful death. The statute of limitations for wrongful death claims is triggered upon the death of the individual who had mesothelioma. In general, family members have between one and three years to file a claim. Many states have different time periods that apply to personal injury and wrongful death claims. In several states, the wrongful death statutes of limitations are shorter than personal injury periods for asbestos claims. Unlike personal injury claims, wrongful death lawsuits may only be filed by certain family members of the mesothelioma patient after his death. Each state has specific rules regarding who may file a wrongful death lawsuit. In general, eligible claimants are family members who were closely related to the deceased. This includes spouses, children, parents, or someone who is financially dependent on the deceased. An action for wrongful death seeks to recover damages related to the loss of the family member and includes: (i) loss of future income, (ii) medical costs that resulted from the patient’s treatment, (iii) expenses related to the funeral and burial, and (iv) loss of consortium. ** Please do not rely solely on the information on this web page; please contact us today to verify the statute of limitations that applies to your case as part of your free consultation. A mesothelioma patient will often file a personal injury claim in the state in which he resided or was exposed to asbestos. This may also include the state in which he was employed. Sometimes it may be best to file a mesothelioma lawsuit in the location where the defendant is based. Determining where you should file your claim may not be a simple task. Plaintiffs and their attorneys must consider a number of factors including when the asbestos exposure occurred, where the defendants are located, and the statute of limitations applicable in the state of filing. 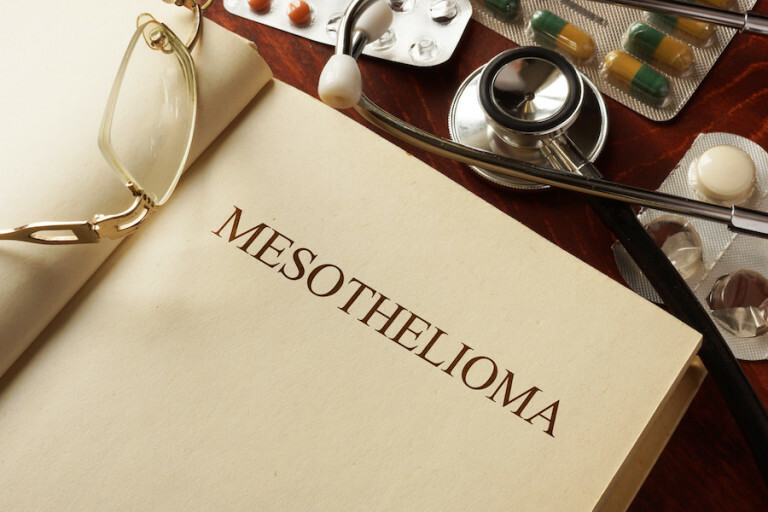 Those diagnosed with mesothelioma are entitled to file personal injury claims in court. But some mesothelioma patients may have more than one source for recovery. Some mesothelioma patients can also be compensated from designated “trust funds” for mesothelioma victims. Many entities have established trust funds through bankruptcy proceeding to compensate those who have developed mesothelioma and meet a certain criteria. The statute of limitations for most bankruptcy trusts is three years. However, there are some trusts with two years statutes of limitations. There are also trusts that were recently formed and could allow someone diagnosed with mesothelioma more than three years ago to file a timely claim. Some bankruptcy trusts also apply separate statutes of limitations that are triggered by the death of the person with mesothelioma. If this information about statutes of limitations sounds complicated, that’s because it can be. The attorneys from MesoLawyersCare are here for you to provide a free consultation and give you all the information you need about your potential mesothelioma claim. It is important that you contact MesoLawyersCare to verify the statute of limitations that applies to your case in order to preserve your right to recover an award. MesoLawyersCare provides the experience and skill to help you with your claim. To discuss your case or to learn more about our practice, please call 1-888-568-1177 or reach us through our website.